BCBSA is pleased to be a recent grant beneficiary from the Whistler Blackcomb Foundation. 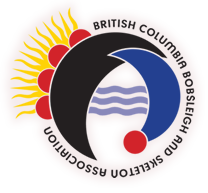 Funds received will be directed towards BCBSA’ youth development program for the sport of bobsleigh, increasing access to Squamish, Whistler and Pemberton area students for greater midweek training programs. Thank you Whistler Blackcomb Foundation! BCS is looking to fill the positon of CEO. Please see the attached documents for more information or visit www.bobsleigh.ca. The deadline to apply is December 5, 2014. New Talent ID Event (with Strength Testing) added! 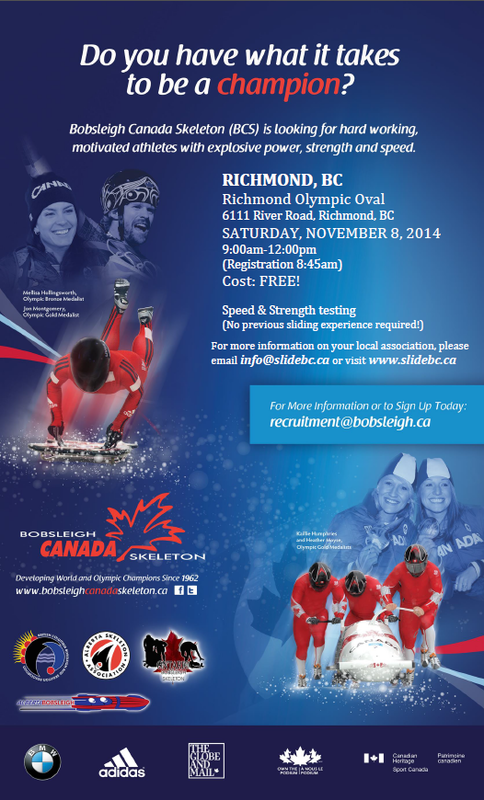 BCBSA is extremely pleased to announce that we will be hosting another Talent ID event on November 8 at the Richmond Olympic Oval. At this event, we will be performing Speed testing as well as FULL Strength testing for new and existing Skeleton and Bobsleigh athletes. This is a key identification event for any athlete looking to joing the BC High Performance teams or the Canadian teams. The Whistler Athletes Centre is offering SPECIAL RATES for BCBSA athletes starting who will be training at the Whistler Sliding Centre this weekend. In an effort to help support BC athletes, they are offering special room rates. CALGARY—Canada’s women’s bobsleigh athletes will have increased opportunities to develop their skills and race against the world’s best on the elite stage, following a decision announced on Thursday by the FIBT that will allow mixed-gender and women’s teams to compete in four-man races. BCBSA is looking to hire a Provincial Skeleton Coach to work out of Whistler for the upcoming season with potential for a longer contract. Starting salary is negotiable based on previous experience. Interested applicants should send their resume and cover letter to executive@slidebc.ca. Back to School - on the ice! Once again, BC Bobsleigh & Skeleton Association will be hosting a number of Driving Schools for both Bobsleigh and Skeleton this winter. This year we will also be introducing credit to our athletes when we have a full school. This makes for a great opportunity to get your friends together to try out these exhilirating sports and helps reduce the cost of the programs for our athletes. CALGARY—A new face, but the same highly accomplished name, will lead a new era for Bobsleigh Canada Skeleton as Sarah Storey was elected president at the sport federation’s recent Annual General Meeting.